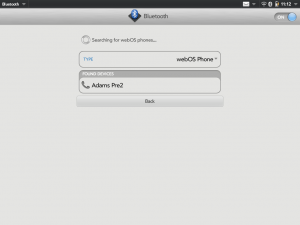 One of the great features for owners of both the TouchPad and a webOS phones is the incredibly easy way to pair the devices together in order to use the TouchPad as a Bluetooth receiver to make/receive phone calls on your tablet. In addition, the TouchPad will also be able to send/receive SMS messages from a Pre2 or Veer (after a future OTA software update for both devices) and all future webOS phones. You may see options in the Phone & Video Calls or Messaging apps to connect a phone, as well. Those options will just open the Bluetooth App to facilitate the pairing of the devices. 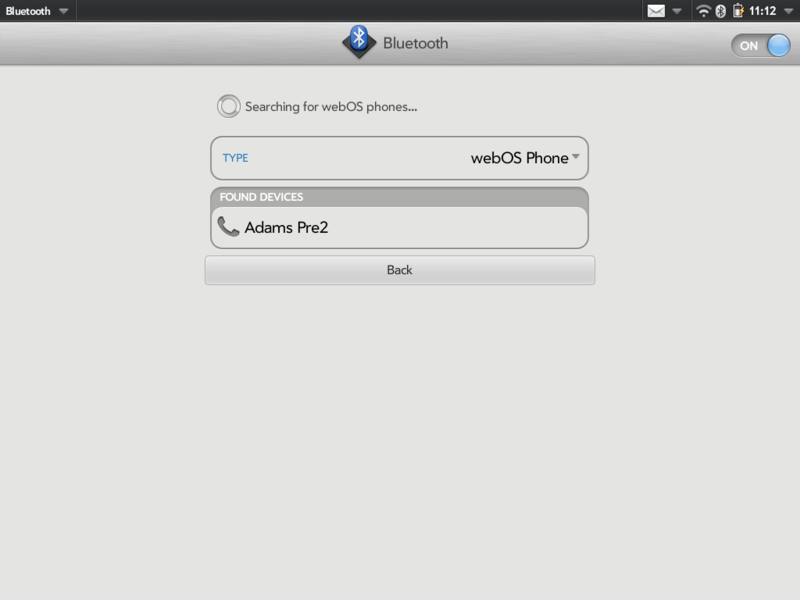 Change the "TYPE" to "webOS Phone"
You may get a pop-up on the phone and/or TouchPad asking to allow the devices to connect. Allow access! Once you return to the Bluetooth app, you should see your device added to the list of "DEVICES", with an "i" icon towards the right. Tapping on that icon will bring up another screen allowing you to set options on how you want the TouchPad and Phone to interact with each other, including auto connecting to the phone and determine if the TouchPad should receive either Phone Calls for SMS Messages from your phone.